I wake up early (the earlier, the better), get ready for the day, pour some coffee, start answering emails and begin scheduling social media for the day. I always look at my calendar and head out to events, meetings if I have any. Depending on what’s on my schedule for the day, when I start to hit my afternoon lull, I opt for a workout and then continue working. Usually, I shoot photos at night because the lighting is better (hello, golden hour). Every day is different and that's why I'm so inspired to meet my goals and go after my dreams. Q. What’s more likely to be in your cup? Chai or Coffee and why? A. Coffee for sure, I’m more into the strong taste of the coffee bean as opposed to a sweeter chai option. A. I’m a huge reader and don’t really like to read on digital devices. When I’m on the train commuting, I use it as my digital detox time. Q. Tell us your three favourite things about being a fashion, travel and lifestyle blogger. 1. Communicating with my readers, I love when someone messages me and tells me what they liked about my post(s). 2. Creating new and exciting content. 3. Ability to experience new opportunities that I wouldn’t have been able to otherwise. Q. 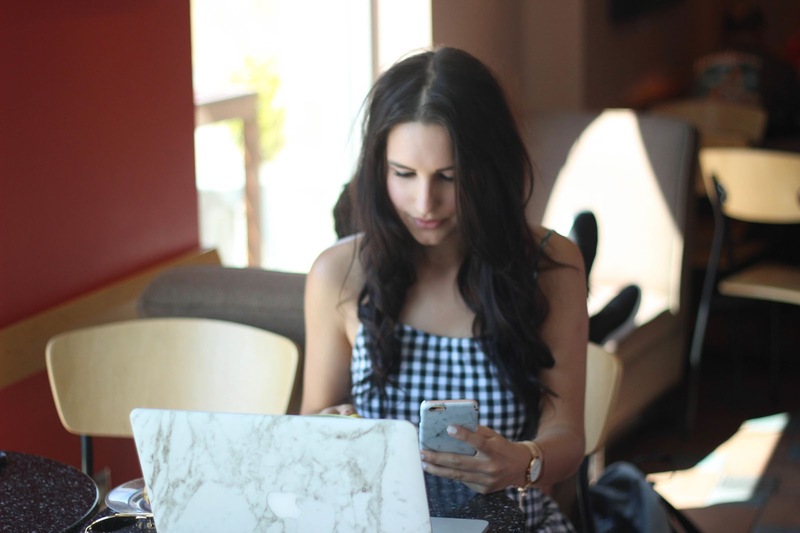 What motivated you to start your own blog, Girl in Betsey? A. I wanted a place to document my experience in the fashion industry, somewhere that I could share photos and written content online. At first, it was more of a personal diary, but eventually, it became a blog. I started when I first began working at fashion shows, I felt I was doing something worth documenting and sharing and eventually I started to turn it into more of a lifestyle blog. It was my way of not annoying my friends with all of my photos on Facebook, haha. Q. How do you continue to stay motivated and inspired when it comes to creating content for your blog? A. Staying in tune with the industry, traveling and experiencing new things. Q. What kind of advice would you offer to someone who is new to the blogger world and just getting started? A. I would say the first step is to just get started. It sounds so simple but it’s the way I see it, you just have to push yourself and start. Stop overthinking it and go with it, eventually, you will get the hang of things. Q. If you could offer one piece of advice to high school Krystin about grown up Krystin, what would you say? A. As cliché as it sounds, I would tell high school Krystin that you won’t remember half of the things that stressed you out a year from now. I wish I wouldn’t have overanalyzed so much.